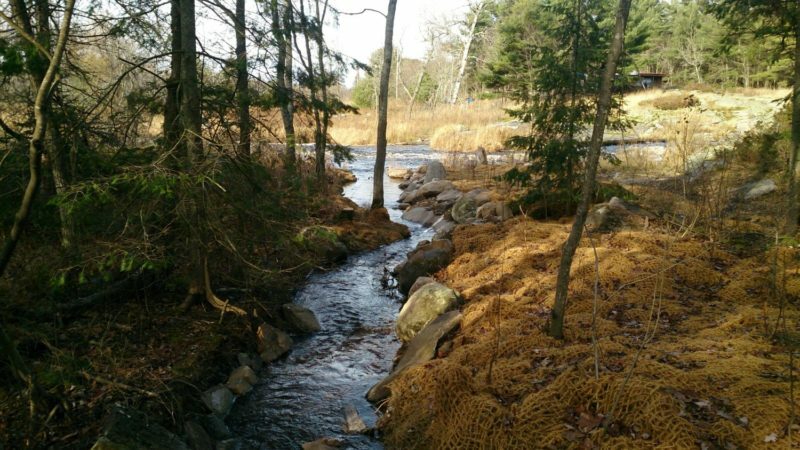 The Eastern Georgian Bay Stewardship Council recently completed a restoration project on the Shebeshekong River as part of a larger, three year Fish Habitat Assessment project funded by ECCC's Environmental Damages Fund. The project involved assessing habitat (e.g., spawning, nursery, foraging) for several fish species – Walleye, Lake Sturgeon, and Sucker species – on eight tributaries to eastern Georgian Bay. Based on EGBSC’s assessment, Dillon Rapids and Young's Rapids on Shebeshekong River were recommended for restoration. 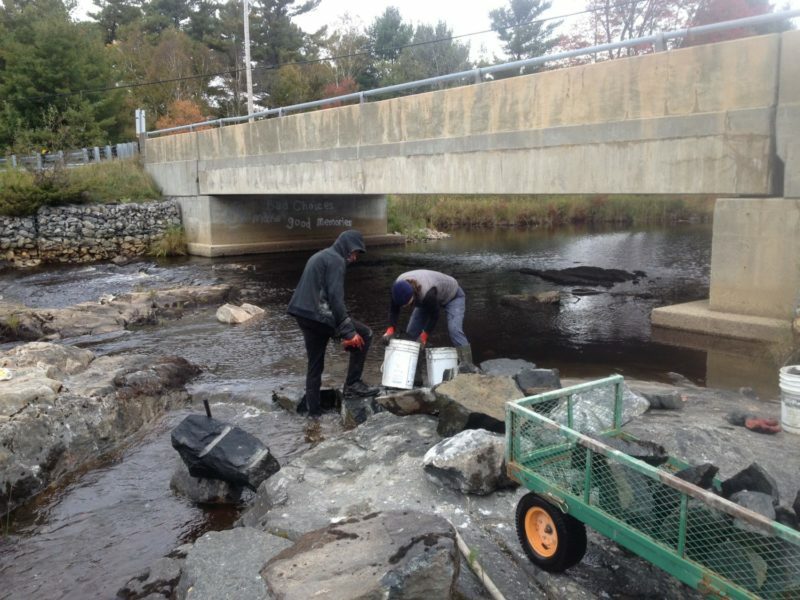 Work at Dillon and Young's Rapids was intended to enhance fish passage and give Walleye better access to high quality spawning habitat located further upstream in order to help rehabilitate the Walleye spawning stock at Shebeshekong River. 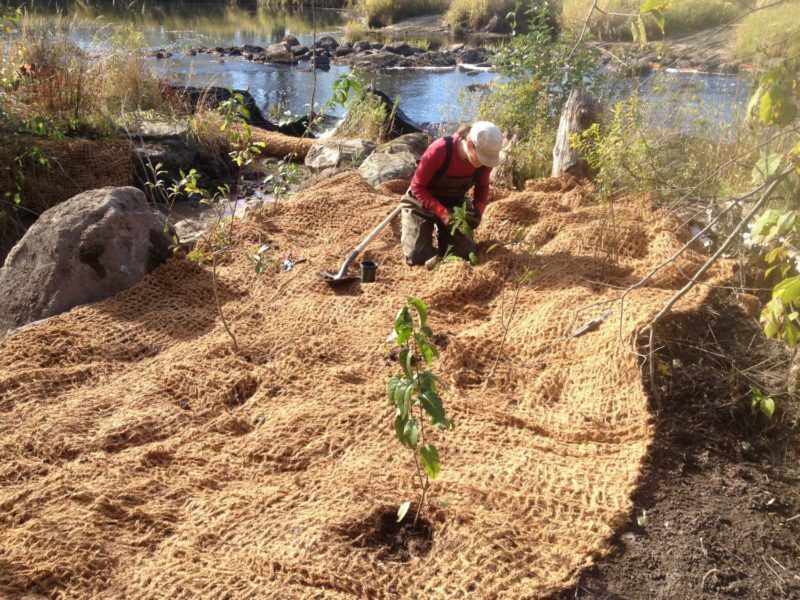 The whole process has involved many partners and stakeholders including project partners and funders, Biotactic Inc., adjacent landowners, consultation with First Nations, and others. Monitoring will begin in spring 2018.